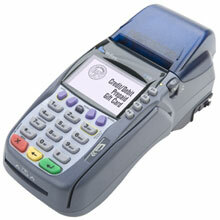 VeriFone Vx 570 - Countertop Payment Solution with Dual Communications - Ethernet and High-Speed Dial-Up Modem connections. 4MB Flash/2MB SRAM. 3-track Magnetic Stripe Reader for credit/debit card payments, requires key injection in order to accept debit or credit card payments. Please call for more information. NOT ROHAS compliant. The VeriFone Vx 570 countertop solution takes performance to the next power by combining superior speed and power for quick and reliable payment processing with increased memory to support multiple value-added applications. The PCI PED approved Vx 570 is a powerful payment solution for merchants worldwide. It is built on VeriFone's acclaimed Vx Solutions platform and provides remarkably fast transactions, plus it has ample memory to support a wide range of value-added applications and EMV smart card transactions. The VeriFone M257-050-02-NA1 is also known as M257-050-02-NA1	or M25705002NA1	.